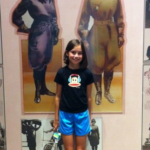 The Los Tweens families are on the move this summer exploring different areas of the country exposing our ‘tweensitos’ to new culture, American history, and more while spending some quality bonding time! How are you exposing the chiquitos to new ideas this summer? Please share! Check out our Facebook page for the latest photos and updates. 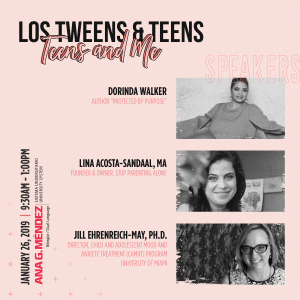 Los Tweens is an official ‘tripper’ of a national road trip presented by The American Latino Heritage Fund of the National Park Foundation. Cristy and her familia will be touring Maryland’s Antietam National Historic Battlefield, Virginia’s Shenandoah National Park, North Carolina’s Blue Ridge Parkway and more. 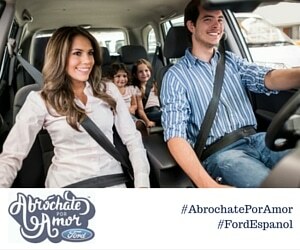 We’re researching the connections to our Latino culture and presenting our kids and you, our digital familia, with insights we find along the way. Be sure to follow the action via Twitter on #LatinoHeritage, by following the @LosTweens and @Latinomarketing handles and our Facebook page as well. Additionally, Katherine and Maddy are spending a week in Annapolis, MD for a family reunion and a lot of American history. In Annapolis, they will be touring the Naval Academy, the State House, and the historic downtown neighborhood. In between the family bonding, they will be traveling to Washington, DC to visit the National Air and Space Museum, the Capitol Building, the Library of Congress, the White House, attend a Nationals Game and more. They will also have an extra tween with them, Maddy’s cousin Reilly! Follow Katherine on Twitter through @LosTweens or @LaMediaLatina and on Facebook. 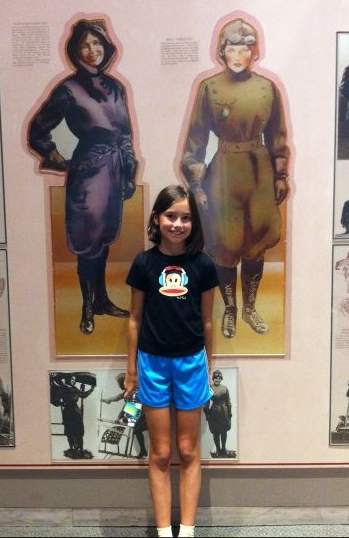 Mady and the First Women of Flight. Teaching our girls about Leadership is key! This entry was posted in Travel and tagged American Latino Heritage Fund, Being Latino, familia, Family, National Park Foundation, padres, summer travel, travel, Tween Education, Tweens, viajes. Bookmark the permalink.